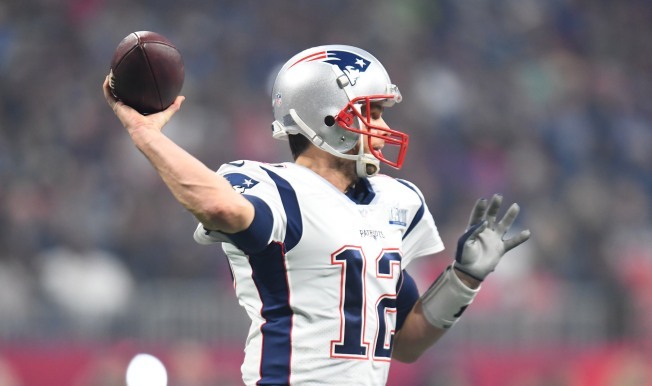 Many have jumped to judge Patriots quarterback Tom Brady's relationship with president Donald Trump without knowing all of the details. Gotham Chopra, producer of Brady's Facebook documentary Tom vs. Time, provided some context for Brady's relationship with Trump on NBC Sports Bay Area's "Warriors Insider Podcast." Chopra revealed what Brady told him about the history between him and the President of the United States. Are Pats in the mix for Rosen? "There's a personal relationship [between Brady and Trump] back in the day, like from way back when he was a kid or -- not kid, but like 2001," Chopra said. "He hosted a Ms. America Pageant, he played a lot of golf with president -- or, you know, Donald Trump at the time. And so, there was a history far before the guy became President Trump. And then, if you actually look now, the conversation's pretty one-sided. "[Tom Brady] never really talked publicly about these things, never even really thought about them in many ways," Chopra continued. "But all of a sudden was put on blast during this election." In 2015, a hat with Trump's campaign slogan "Make America Great Again" was spotted in Brady's locker. Chopra explained how the criticism for Brady possessing the hat got out of hand. "That hat thing happened like way before the election," said Chopra. "It was like the early days, like 'this guy's running for President, kind of crazy'. Like, most of us thought, 'I mean, he's not gonna win'. And so, it just kind of snowballed, and I think those guys live at a level where everything they say or do is so scrutinized."